Why Should We Be Eco Friendly? One question I get asked some time goes along the lines of “why be eco friendly?” For some people, it seems like too much effort for too little reason. The reasons just aren’t apparent to everyone, even as others state that it’s obvious. The need to be eco friendly goes beyond whether or not humans are causing any sort of climate change, even though some want to reduce it to that single reason. It’s a good reason, but it only works for those who agree that there is human-caused climate change. For others, you need more reasons than that. 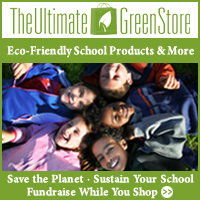 Eco friendly products are generally better for your health. They use fewer toxic materials. And contrary to common belief, they aren’t always of poor quality. Some of my favorite eco friendly cleaning supplies, for example, are at least as effective as their more toxic counterparts. My favorite personal care items are, in my opinion, even more effective than their more common counterparts, and cheaper too. The list goes on. You save money a few ways by being eco friendly. The simplest is by just not buying as much stuff. One of the greenest things you can do, and it doesn’t cost a thing. Eco friendly living save money other ways too. Most eco friendly products use less energy, so even some of the things that cost a bit more upfront cost less in the long run. Sometimes the payback takes a while, but it’s usually there. A good eco friendly product should also be more durable. It’s not terribly eco friendly to be constantly replacing things that should last for years, or even decades. If you can use something that functions just as well, is more eco friendly than the alternative in general, and lasts longer, why wouldn’t you prefer it? People focus on climate change when they talk pollution, but it goes far beyond that. Think about dead zones in the ocean, caused by agricultural runoff. Think about plastic floating in the ocean. Think about the air you breathe. Recycling and using less energy helps cut down on pollution. In many areas, recycling has become much easier to do than it was in the past. With more energy efficient appliances and lights, cutting down on your power usage is getting easier too. The more people participate in these things, the more everyone can benefit. Ever compare produce from a good farmer’s market or your own backyard garden to produce from the grocery store? Most would agree there’s a difference, and grocery store produce loses. I’m not even getting into organic vs. conventionally grown produce here – food miles make a difference too. Fresher food simply tastes better. You may not see the immediate benefit of some of the eco friendly things you do. That doesn’t mean there’s no benefit at all. Take a look at where the benefit comes in for the various things you do and buy, and you might be surprised at the impact you’re having. Many of the worst environmental impacts happening right now are affecting the poorest parts of the planet. The part you play in that may be small, but it doesn’t hurt to decrease it. Your impact is small, but that’s how many things start. When others see you care about the environment, you’re making it easier for them to care. When others see you not caring, it’s easier for them to not care. Either effect goes beyond you as others take action, at least in part based upon what they see others do.